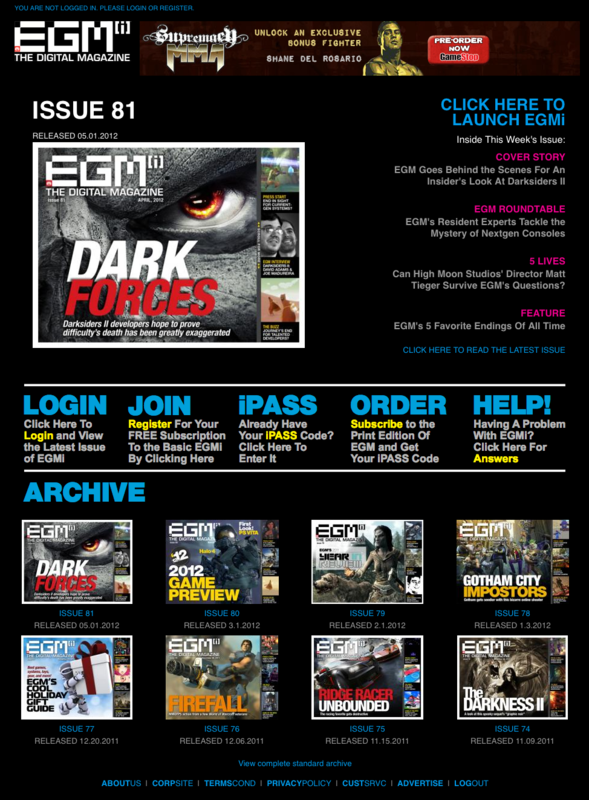 This is the primary Electronic Gaming Magazine site and along with helping customers subscribe to the print and digital magazine, it also keeps track of subscribers day. A one year subscription comes with 366 days of digital use and each day one of those days melts away. The site also acts as a portal to the digital magazine.